Berlin has a lot of great sights to offer. For example, the famous television tower has become to one of the most remarkable identifying features of the city. Also, the big Brandenburger Tor or the “Checkpoint Charlie” are well-known characteristics of Berlin. 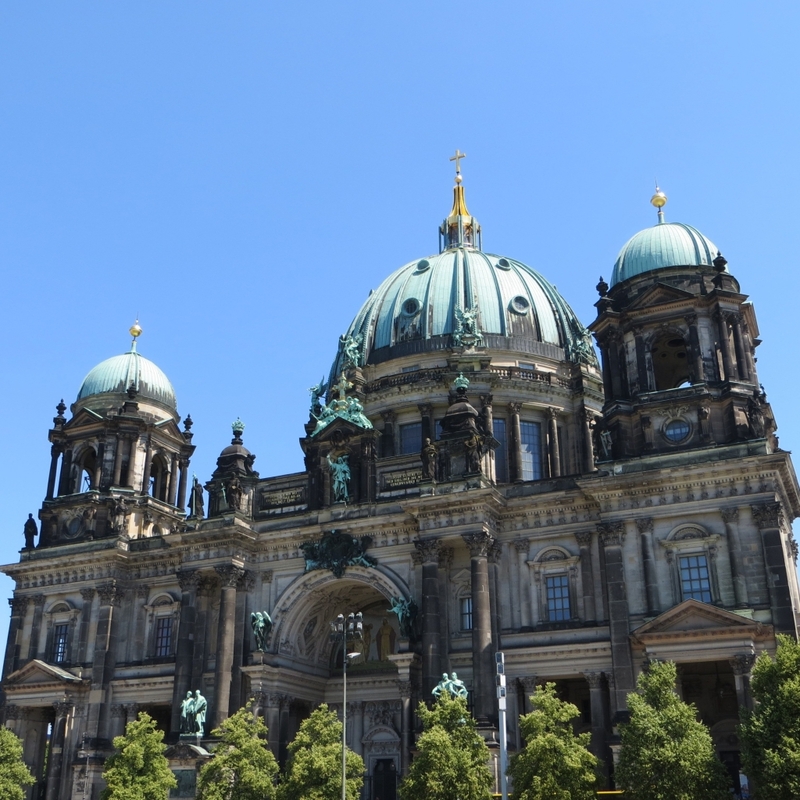 Berlin even has its own „island“ for museums – the Museum Island. There you find various kinds of museums, for example the Pergamonmuseum, the Deutsches Historisches Museum (German Historical Museum) or the Bode-Museum. The Museum Island in the centre of Berlin is one of the most outstanding museum complexes of Europe and is part of the UNESCO world cultural heritage. The five museums of the Museum Island are Pergamonmuseum, Bode-Museum, Neues Museum, Alte Nationalgalerie, Altes Museum and Pergamonmuseum. The triple winged Pergamonmuseum by Alfred Messel is with 1mio. visitors p.a. the most visited museum of Berlin. In the course of the „Masterplan Museum Island“ the Pergamonmuseum will be restored step by step and until 2025 a fourth wing will be added. During this restoration, the hall with the Pergamonaltar will be closed till 2019. Ischtar-Tor, Prozessionsstraße, Marktor von Milet as well as the Museum für Islamische Kunst continue to be open. The Bode-Museum is already completely refurbished. It is home to an extensive collection of sculptures and treasures of the museum for Byzantine art and the Münzkabinett (coin cabinet). In summer, the opposite shore is a frequently visited place because of its breath-taking view on the northern Point of the Museum Island. In 1841 Friedrich August Stüler started the construction of the Neues Museum (New Museum). He used steam power and industrial manufactured structural frames: with regard to structural engineering a sensation at this time! During war, the museum was destroyed and stayed a ruin until 1999. The subsequent reconstruction and the refurbishment by the high reputed architect David Chipperfield took ten years. Since the reopening in 2009, selected objects of the Ägyptisches Museum, the Papyrussammlung, the Museum für Vor- und Frühgeschichte as well as the Antikensammlung are housed here. The centrepiece at the Neues Museum is the Nofretete. The neo-classical building with rotunda, dome and columns (designed by master builder Karl Friedrich Schinkel) was the first public museum in Prussia in 1830. After extensive structural alteration works, the museum shows the permanent exhibition „Neue Antike im Alten Museum“ – Antikensammlung mit Gold-Schatzkammer (“New Antique in Old Museum” – collection of antiques with treasure chamber) with antique art and sculptures. Free entrance for children and adolescents until the age of 18 as well as for students as part of class. For guided tours (classes of 11th grade and above) have to sign up..
Of course, there are also several museums directly near to our acama hostels. We tell you what can be seen there and where you don’t even have to pay any entrance fees. Founded in 1982, the Deutsches Technikmuseum (German Museum of Technology) is a museum full of tradition. It houses numerous technology-historic collections, which are native to Berlin since more than 120 years. Near Potsdamer Platz the German Museum of Technology Berlin has a very special position: It is located at a rail triangle on the premises of the former Anhalter Güterbahnhof (freight railway station) with a great park with wind- and watermills, a forge and a brewery – an oasis of technology and nature in the middle of the metropolis Berlin. Currently, 14 departments are presenting their treasures on an exhibition space of approximate 26.500 qm: In the permanent exhibitions you find the cultural history of traffic-, communication-, production- and power engineering – vivid and comprehensible. There is, for example, the exhibition „Lebenswelt Schiff“ („Environment Ship“) on ocean and inland shipping, the exhibition on 40 rail vehicles in original size in the historic Lokschuppen (engine shed) and the exhibition „Vom Ballon zur Luftbrücke“ (“From balloon to airlift”): on 6.000 qm essential developments and events of about 200 years of German history of aviation will be shown. What you see in the permanent exhibition too: the worldwide first computer, looms, functioning machine tools for suitcase- and jewellery production, numerous radios, photo- and film cameras, sizzling diesel engines and steam engines, scientific instruments, paper machines, printing presses and many more. The Gemäldegalerie (Gallery of Art) exhibits one of the worldwide most important collections of European paintings (13th – 18th century), which was systematically set up and completed since its founding year in 1830. Masterpieces from all art-historical epochs, including paintings of van Eyck, Bruegel, Dürer, Raffael, Tizian, Caravaggio, Rubens, Rembrandt and Vermeer are on exhibition here. 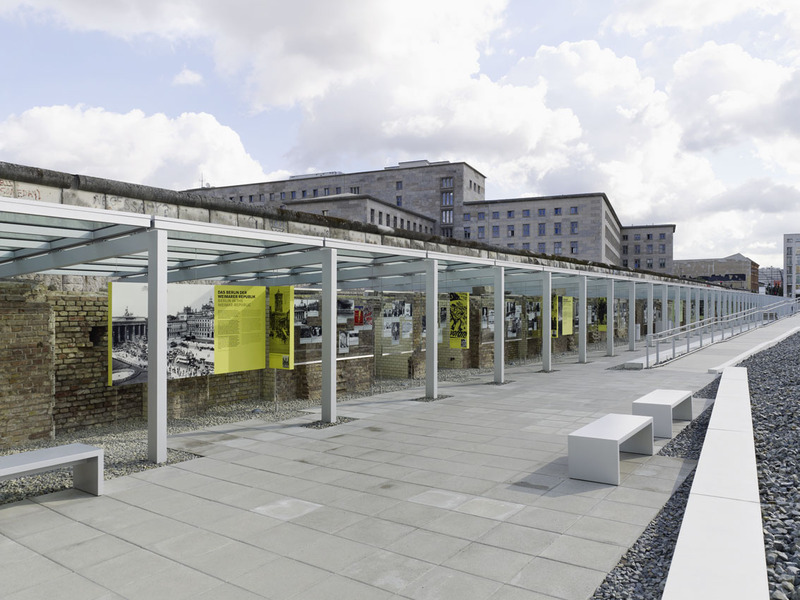 For those who want to know more about National Socialism should visit the Topographie des Terrors (Topography of Terror). Here you find everything about the documentation and regeneration of the period of National Socialism in Germany. In 2015 more than 1 million people visited this place of remembrance in Berlin. Entrance is free. The exhibition shows its visitors various chapters of the Third Reich: The seizure of power of National Socialism, die institutions of Nazi terror, persecution and extermination, SS and Reich Security Main Office in the occupied territories and finally the end of war and the post war period. You reach the Topographie des Terrors within 1,4 km from our hostel in Berlin Kreuzberg and 3,8 km from our hostel in Schöneberg.